Look, I get it. I took have been trawling SkyScanner for cheap breaks over on the old continent. And as always most (not all, but most) of my travel is centred around food. In lieu of a trip to Spain, in the interim, the next best thing, however, is heading to Iberica in Glasgow for their tapas style menu. 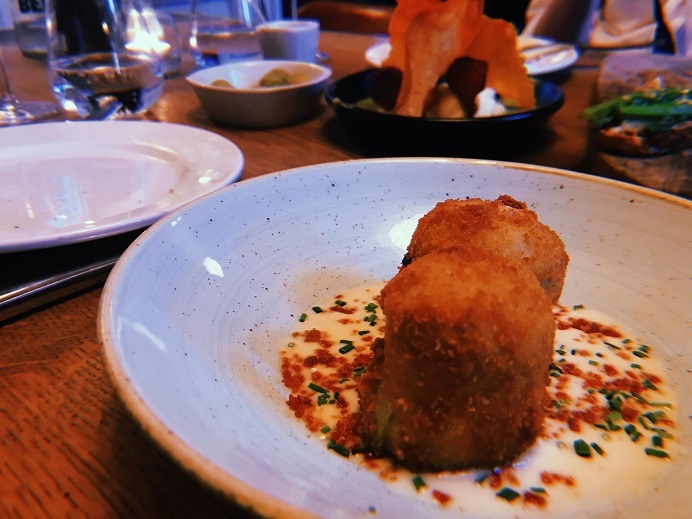 From Spanish stalwarts like padrones and patatas bravas to Iberica’s own contemporary takes like cod brandada and artichoke hearts, the menu is certainly one worth getting excited about. When I can I try to dine in places with small plates with people who love the same food I do. Why? Well, because I can’t bloody well see green cheese and there’s yet to be a time where I’ve gone out and NOT experienced instant food envy. The trend towards tapas and small plates enables my inner gannet and innate need to try all of the things. While Iberica does have a selected paella and grill menu the tapas is where it really shines. 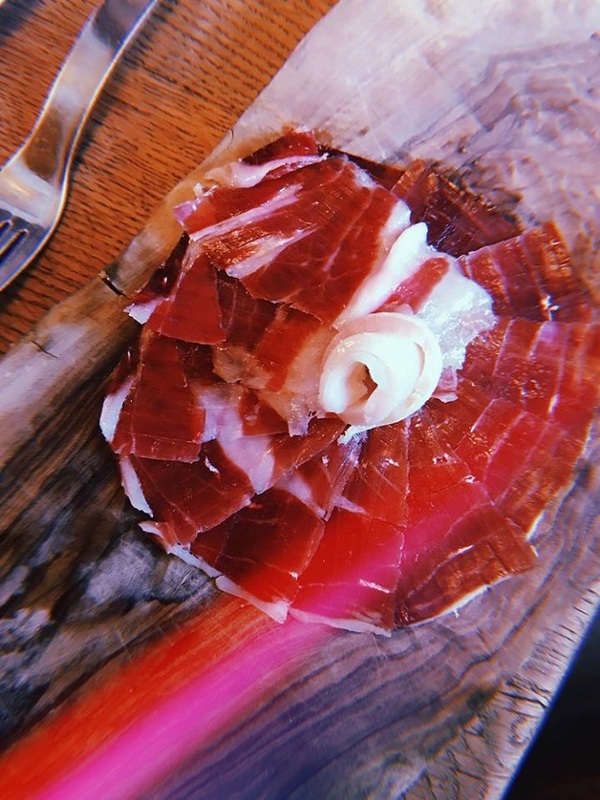 Every meal ever at Iberica deserves to start with a plate of cured meat. I don’t care which one you go for, but to miss out on their perfectly sliced, thin glistening ham would be a disservice. I could write love letters about the award-winning Juan Pedro Domecq and to be honest, there isn’t many weeks that go by when I don’t think of it. 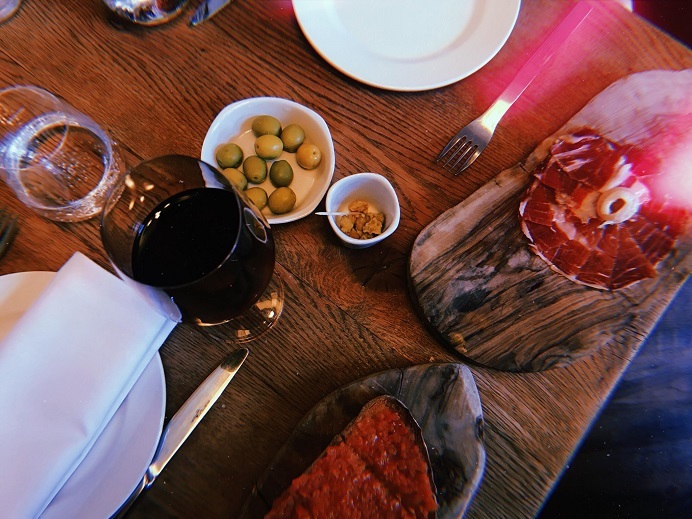 If you are even just hoping to grab a wine in town (and Iberica boast an impressive and well-curated wine list) do yourself a favour and order a wee slither of ham on the side. Your life will forever be improved by it. The toasted bread with tomatoes though is fine enough but really adds as filler, skip on this one and save yourself for the main event. But get the ham. Seriously. We went for pulpo (octopus which I will order whenever/wherever I see it on the menu), gambas (prawns), asparagus toast, artichoke hearts, chorizo and cod brandada. 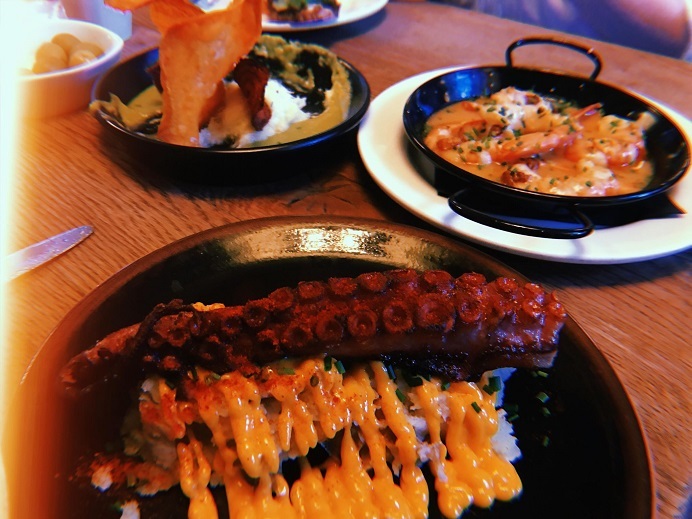 The pulpo is grilled and served with potatoes and a generous seasoning of paprika and is the most perfect smokey treat and quite frankly I would have happily ordered 3 helpings of this and called it a day. The gambas were in a garlic and sherry sauce which gave them a fabulous twang and had some real meat to them and the sauce was just perfect for dipping everything in to. 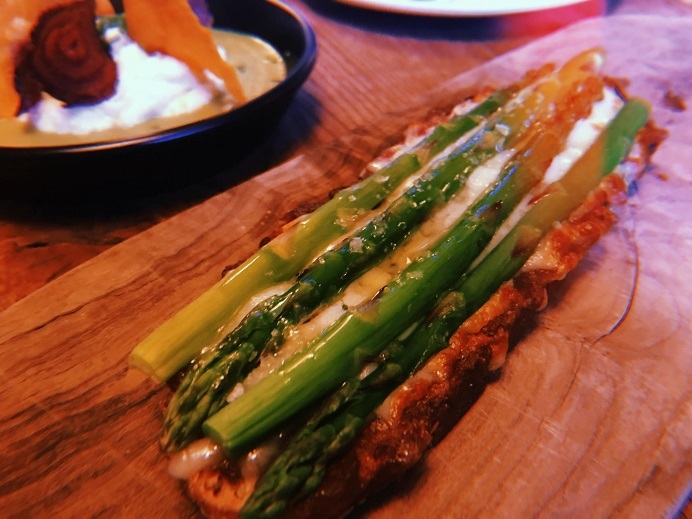 While the asparagus toast left me a little underwhelmed and I could have certainly done with more artichoke with my artichoke hearts, neither was anything close to bad and was a welcome addition to a table that was heavy on the meat and fish. The cod was a real delight and almost (almost) too beautiful to eat and the chorizo came cooked in cider with chickpeas. 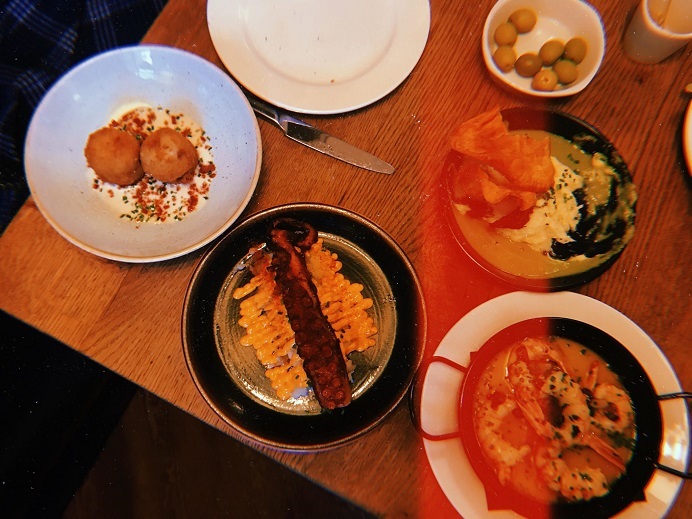 You will not, in short, leave Iberica hungry. For dessert (because truly it would be rude not to) we went for Torijja and Coffee Flan. The torijja is brioche served with an apricot coulis and is basically like the most incredible bread and butter pudding you’ve ever tasted. 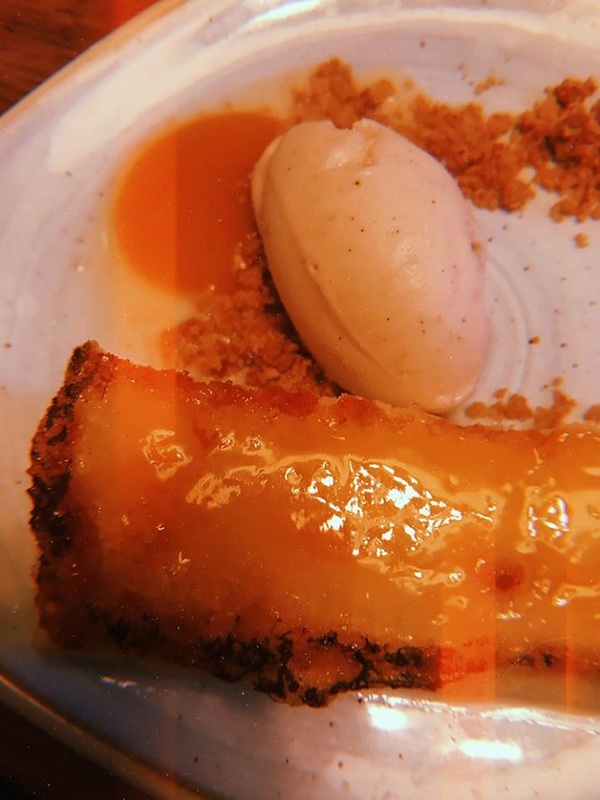 Not much to look at but the caramelised top to crunch through and the overall flavour make up for appearances and something I would gladly order again. The flan was well made and creamy and offered a wonderful sweet finish to the evening. As touched upon earlier, Iberica has a fantastic wine offering and we paired our meal with a Rioja in the form of Beronia Reserva. Your £5 Tesco wine this ain’t and it shows. Hints of blackberry and chocolate make for an easy drinking wine that is sure to appease even the fussiest of palettes. 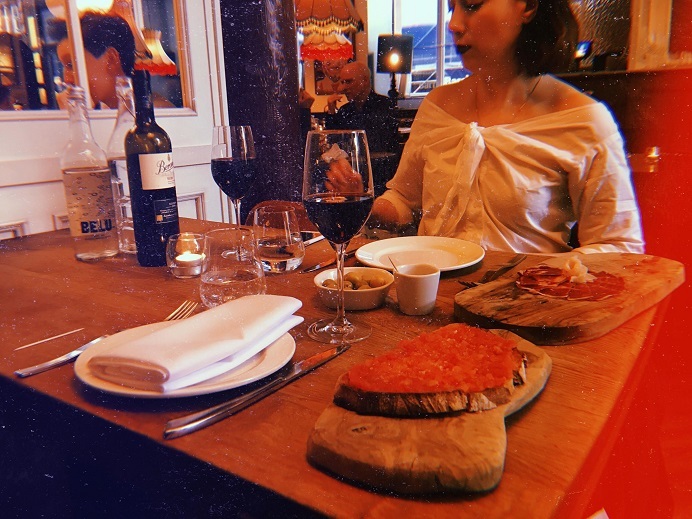 The staff were impeccable managing to be attentive without intrusive and spoke with enthusiasm and expertise about both the new menu and drinks offerings and were more than happy to recommend their personal favourites. Now the only question left is, when can I go back for more of that ham?